The Cicerone Workshop will be offered at no charge, thanks to our sponsors, and we are told that this opportunity has not previously been available at any event! The Big Beers Festival is pleased to once again be hosting the Cicerone Program over festival weekend. As is traditional, the the Cicerone Workshop will be held from 8:30am–11:30 on Friday morning. With the generous support of our sponsors, Neil Witte will be presenting this informational workshop free of charge, an unprecedented opportunity for the beer lover or connoisseur. Open to the public, topics covered in the workshop will range from storage and draft equipment to beer styles and food & beer pairing… covering almost everything you can imagine in the world of beer. It is not necessary to sign up for this workshop. Come on in and join us! Neil Witte is a 21 year veteran of the craft beer business. He began his career in the Kansas City brewpub industry in 1997, moving to Boulevard Brewing Co. as a brewer later that year. In 2001, he took over field quality responsibilities for Boulevard, acting as a quality control liaison between the brewery and its distributor and retailer network. He continued that role through the end of 2016 with the Duvel USA family of beers, including Boulevard and Brewery Ommegang. In 2017 he founded Craft Quality Solutions, which draws on his extensive field quality experience, providing quality-focused services to breweries, distributors and retailers. 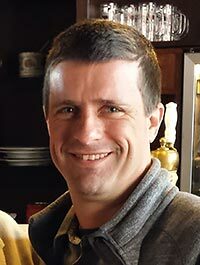 Neil is a technical content specialist for the Cicerone Certification Program and is currently one of 16 Master Cicerones. He is an accomplished beer judge and holds the rank of Certified with the Beer Judge Certification Program. Neil serves as the Quality Ambassador and the Draught Quality Ambassador for the Brewers Association, is a co-author of the Brewers Association Draught Quality Manual and Draught Beer Quality for Retailers and is also a contributing author to the MBAA Beer Steward Handbook. Once again, guests & participants at the Big Beers Festival will have the opportunity to become a Certified Cicerone. Recognized as the standard in the industry, the Cicerone Program offers a measurable certification with regard to knowledge of all things beer. Similar to a Sommelier designation in the world of wine, there are four levels of Cicerone Certification. The Certified Beer Server designation is accessible online for a modest fee. The Certified Cicerone Exam is significantly more advanced, and is only offered a few times per year at locations around the country. To register for the Certified Cicerone Exam in Breckenridge at the Big Beers Festival, please contact Ray Daniels, Director, at Ray@Cicerone.org or by going to Contact Us on the Cicerone website. Ray will handle all registration and fees associated with the exam directly with you, and the exam will begin at 1:30pm at Beaver Run Resort Conference Center Summit Gallery Peak 10. NOTE: The morning’s workshop is just an overview and/or review—it should not be considered a comprehensive prep course. Those taking the afternoon Certified Cicerone exam should be prepared ahead of time, so you can view the syllabus, sample exams and study resources and then remember to register for this exam.